Let’s make a splash when the Summer Event begins after this update! Arkuma and his prize shop will disappear during maintenance, so don’t forget to spend your remaining stars. SP Auto Actions are acquired at level 200. Head to the EXCube Exchange Shop to change the SP Auto Action. SP Auto Actions are activated when bosses are nearby. 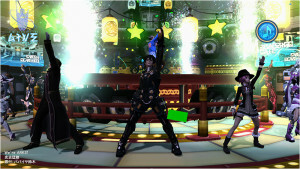 You can receive the [PSE Costume Bonus] effect by wearing swimsuits. The following clothing qualifies for the effect. Xie (Summer 2015) will appear until August 26th. 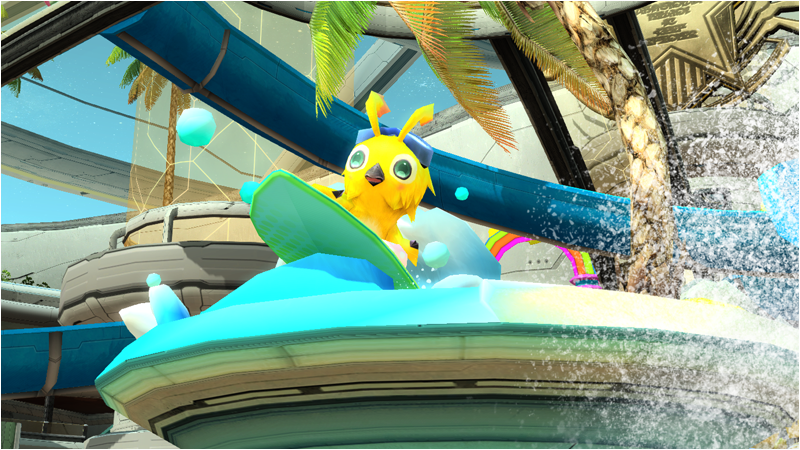 Summer 2015 Bingo will appear until August 26th. Episode 3: Chapter 6 releases July 29th. 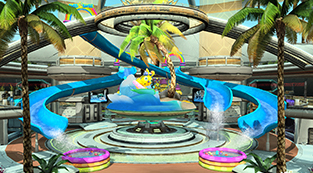 Adjusted the graphical effects for Kazan Nadeshiko and Twister Fall. Adjusted Bullet Squall so that its attacks hit from above. Added a new feature that lets you check crafting achievements when selecting Craft Recipes or Craft Lines. Added a new feature that lets you save up to 9 data drives for Timed Abilities. You may now [Switch Partners] or [Return all Partners] from the Partner Terminal in the Camp Ship. Friend Partners are now sorted into Friends List groups at the Partner Terminal. You can now setup a subclass for your Support Partner from either the My Room Terminal or the Partner Console. You can obtain Challenge Miles by overfilling the VR Energy Bar. VR Energy Capsules and drop items can no longer be placed on top of each other. Adjusted how long you can continuously interact with the [Personal Best Record Tablet]. The Auto Doll is intended for players who are just starting the game. Characters with all of their classes below level 15 will be automatically revived up to 5 times a day. Added new Catapults to the Shopping Area. Changed the teleportation location for when you exit My Rooms and Team Rooms and enter the Shopping Area. Added a new feature at the Item Lab that lets you remove Owner Registrations from Weapons and Units. In order to do this, you’ll need to obtain a Pass located at the Excube Exchange Shop. This pass is known as オーナー登録解除パス . This feature is only available for weapons/units ★11 and lower. Timed Abilities and Extended Weapons will reset when using this feature. 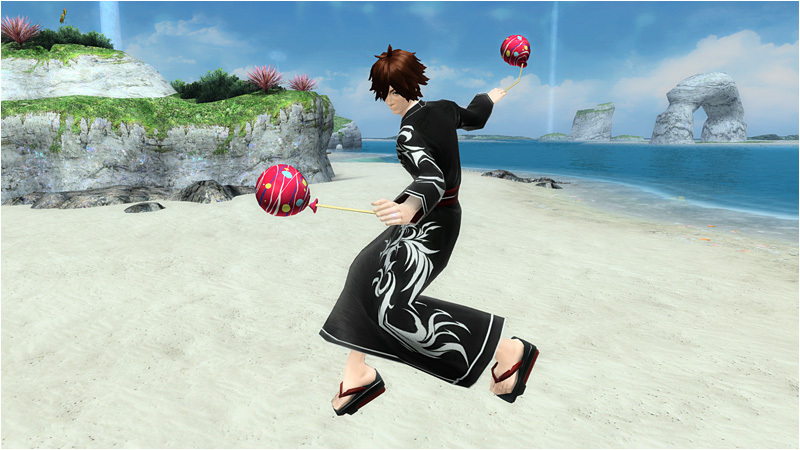 The [Third Anniversary Exchange Shop] can be accessed through Xie (Summer 2015) until August 26th. Added items to the Excube Exchange Shop. Added items to the Challenge Mile Exchange Shop. The Badge Exchange Shop will now be known as the Badge & Memory Exchange Shop. Added items that can be obtained by trading in Ragol Memories. Added items to the Recycle Shop. Added items to the Craft Shop. Adjusted the order of items in the Craft Shop. Room Items (Craft EX Builder 2, Craft Tech Builder 2, and Craft Timed Builder 2) have moved to the Craft Shop. Client Orders listed in [1. Show All] will be lined up by NPC. This applies to Client Orders from Hans, Jozsef, Gerard, Revelle, Barbara, Amelin, Lubert, and Lottie. Alto’s Client Orders will now unlock when you teleport to the Casino and cleared Koffee’s [Exploration Request I ]. Added the field [Corrupted Area] to the tabbed list of Client Orders. Some Client Orders that showed up in [All Areas] will now show up in [Other]. Added a feature in the Friends List that displays messages between friends. You can write your own Friend Message through the Quick Menu. You can also see what quest your friends are playing and their party status. Added a new live event with two songs [Rare Drop Koi Koi] and [We’re Arks]. 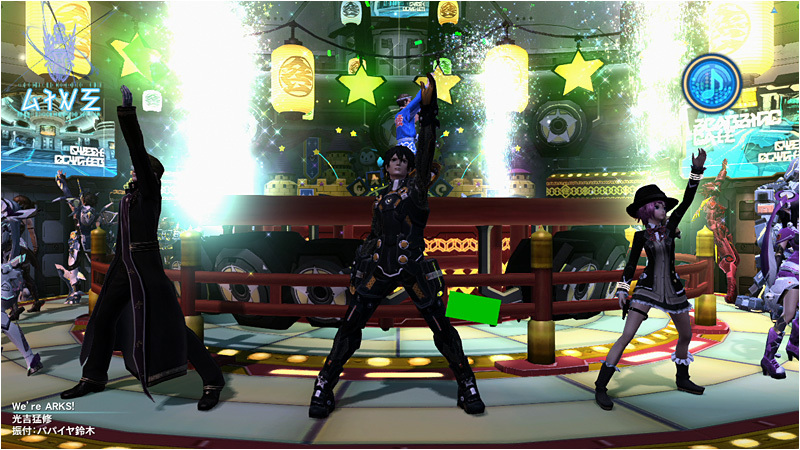 You can participate in the event by pushing a button to match the beat in the guide at the upper right corner. A Live Boost will be applied after the event is over. 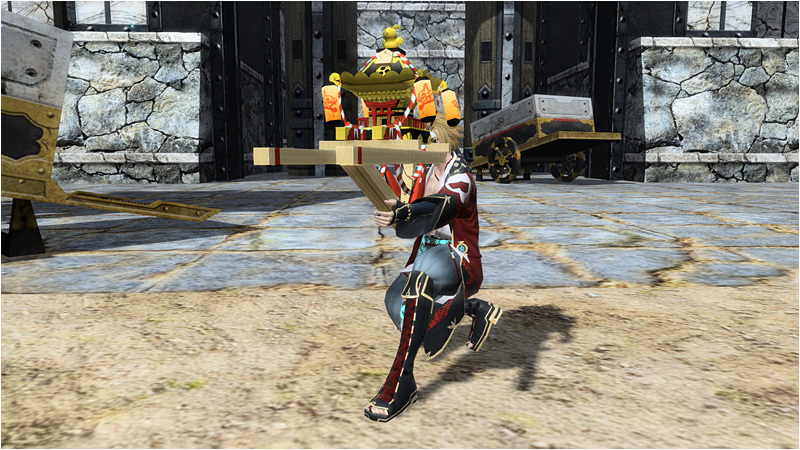 You will also receive a new Lobby Action 194「ＡＲＫＳダンス」 for participating in the Festival through Title Rewards. PS Vita Players and PC Players who fail to meet the recommended specs may not be able to see all the players participating in the event. PC players who meet these recommended specs can increase the number of characters displayed by changing the [Detailed Model Number] settings in Options. Decreased the graphical intensity of Wand Gear tech explosions for players other than yourself. Jellens can now be overwritten by more powerful Jellens. Katori and [Beach Wars 3!] Huey will now equip new weapons for winning the Character General Election. This change doesn’t apply to Huey outside of the Emergency Quest. Adjusted the placement of the Limited Quest at the Quest Counter. The Quest Counter will now display the available space for a block when browsing through quests in other blocks. Mining Base Defense: 1, 2, and 3. With this change, boost items begin their consumption after players are transferred to the main area once the countdown timer ends. This can result in Boost Items consuming even when the player is still in the Camp Ship or Lobby. 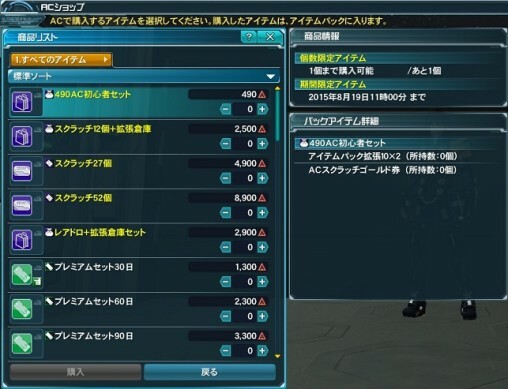 The Kartagot appearing in the Tutorial Quest will now be able to drop 7 ~ 9 star weapons, or PA/TECH Disks. When a mag attacks Anga Fundarge’s reflective barrier, it will no longer damage the player. In TPS view, the camera will no longer shake when the mag performs a shooting auto action. [PS Vita Exclusive Blocks] will now receive a separate TA Ranking. The explanations for potentials [Paradise Blessing] and [Crushing Blow] have been adjusted to make it easier to understand what causes their activation. This will not change the way the potential works. Storage Box icons will display in the Item Pack menu when choosing where to transfer an item. You may now choose to drop several items on the field from the Item Pack menu. You can now control the camera while using a Catapult Jump. Crafting orders and requests can now be viewed in your Communication History window. In addition, the Communication History window will also allow you to transfer to the room of the selected player. 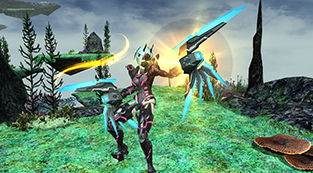 You can view a brief explanation on how to link PSO2 with PSO2es at the Title Menu. Main Effect [Rare Drop Boost] will no longer have 0% chance days of occurring through Timed Ability Installations. Free / Friend Partners will receive boosted ATK, DEF, and HP. Free / Friend Partners will no longer suffer under status effects from each element. Units and Weapons obtained as rewards from [Rare Emergency Trials], will come equipped with more Special Abilities. 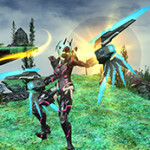 Rare enemies and rare bosses from Planet Harukotan and Wopal will be added into Parallel Areas. Added 12 star weapon drops to the following Emergency Quests on Extra Hard. Mining Base Defense: 1 and 2. Boosted the drop rates for 11 ~ 12 star weapons on the following Emergency Quests on Extra Hard. Some enemies will have reduced HP and relaxed difficulty. VHAQ acceptance conditions will change from Level 45 to Level 40. SHAQ’s large pyroxene drop rates will be increased. SHAQs at +10 or higher advance risk will have boosted drop rates for advance capsules. SHAQs at +10 or higher advance risk will make it easier to acquire large pyroxenes. Advance Quests will receive a +100% EXP Boost. 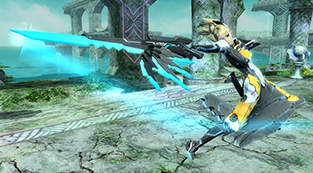 [Rear / P-Drive] and [ARKS Badge Peach] are available as rewards for clearing the [Rare Enemy Trigger’s] emergency trial. This [Rear / P-Drive] unit comes attached with a new special ability known as [Spirita Alpha]. 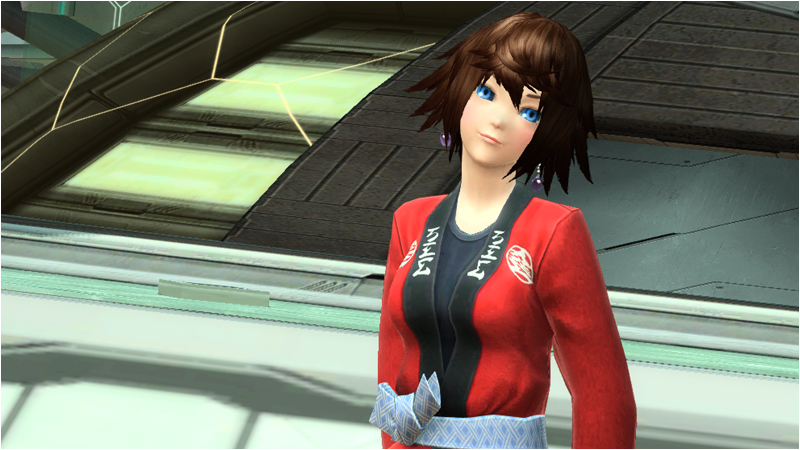 You can trade in [ARKS Badge Peach] at the Badge & Memory Exchange Shop to acquire the [Rear / P-Drive] unit. Mesetan Shooter, Black Nyack, and Rappy Slots will have increased payouts and receive balance adjustments. Changed the unlocking conditions for Klariskrays’ combined technic client orders. For a limited-time, players can purchase AC Shop packages at a discounted rate. These packages are available from the AC Shop from July 22nd to August 19th. These packages are listed in yellow at the AC Shop. Everyone who participates in the Mikagura School Sweet AC Scratch will receive prizes like Lambda Grinders and Ragol Memories. This week let’s head out to the beach and clear Xie’s (Summer 2015) client orders! (2) Clear Xie’s client order Project: Resort Defense!? Players who register during the campaign period can receive these wonderful prizes! Until November 4th 2015 Maintenance. There’s a reset device at the excube shop and craft shop. *SHAQs at +10 or higher advance risk will have boosted drop rates for advance capsules. well I guess that’s all well and good if you have enough caps to either force it up to that risk level or spam it to raise it. if you don’t… well, that’s zero help yet again, sega. You can even get capsules from casino and you can buy them with meseta, dont see whats the problem. Just do advance quest with people, alot capsules drop this way. Getting 20+ caps from a solo run of +11 volcano. I think its a non-issue now. Is the server still down I get a “Maintenance in progress” message on both ships? If it is up and it’s just not working for me how do I fix this? Its now July 24 and im still getting the message that both ships are still under maintenance too. Well by now it should be obvious to yall that the rest of us are having no problem. You need to uninstall the patches, do a file check, possibly even re-install the game if that doesn’t work – but it probably will. We have all been back online since Wednesday around 3:30am EDT. SEA version is blocked again for 98% the world. How am i able to obtain compound techs from claris claes? I reached level 70 on my force, yet she doesn’t have a request option when i talk to her. What has changed in the latest update regarding her unlock conditions? You still need to have Episode 3 on your Matter Board. Just select it at the Matter Board screen. Looking at the swiki, I noticed they changed the unlocking conditions of her second client order.